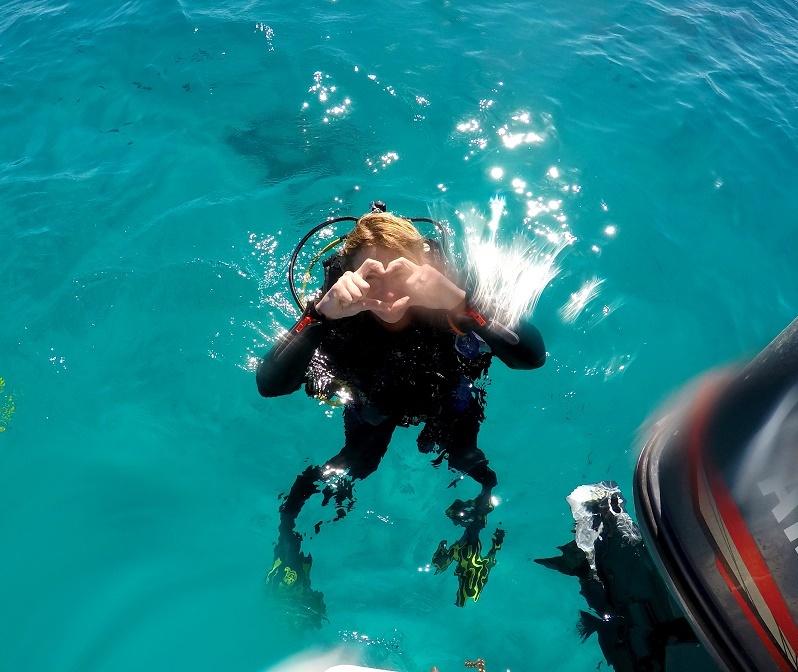 My passion for diving is as intense as it is with travelling and life itself. It will never stop. It simply makes me complete! 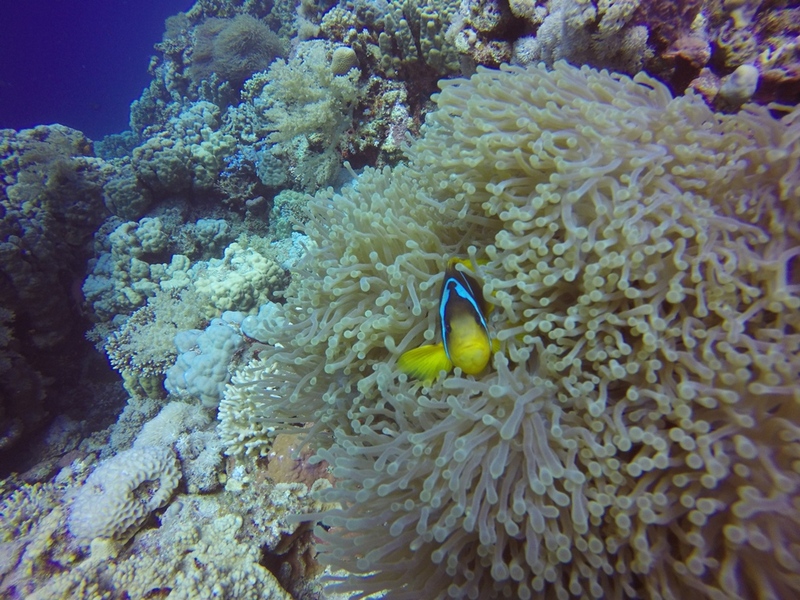 Therefore I’m gonna share with you my most recent diving experience in Soma Bay, Egypt where we went for two amazing days diving in the Red Sea. No rush in the morning to get to the boats – meeting is at around 9am to get everyone’s forms, information and gear. All the equipment is put in personal boxes and is brought to the boat, no need to carry any of those yourself which is very nice! Tanks are on the boat as well when you get there. Before embarking for a great day the instructors will tell you all about the procedures and the upcoming dives. 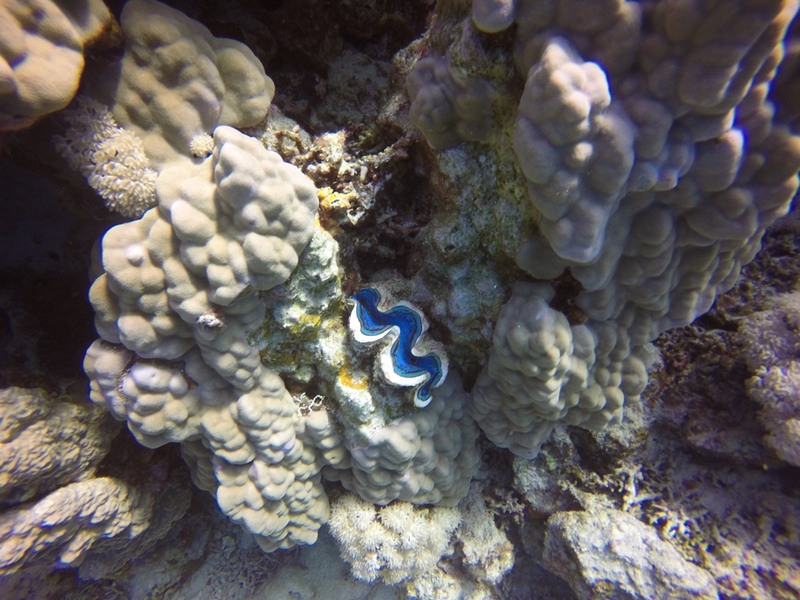 Infos about the reef, the depth, maximum bottom time, what fish to see, what to watch out for. I was paired with Karam for both days and my friend Gabi who is not a certified diver (yet) was paired with Anna for a discover dive. 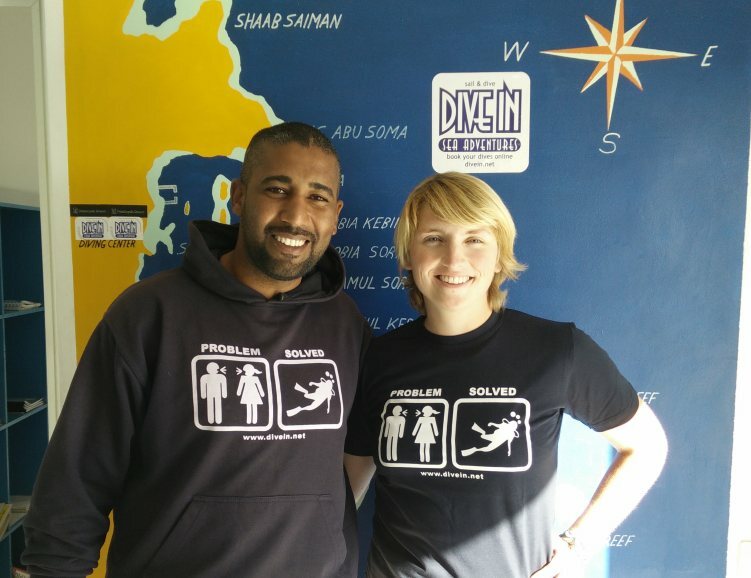 Both are super friendly and you can see their passion for diving and making your day! Hopphopp let’s get on the boat which awaits you at the dock only 30 meters from the dive center. Depending on which reefs you’ll be diving in they will either get you to the dive site and then back to the shop and take you for your second dive in the afternoon, or you’ll go further and enjoy your surface interval on the ocean catching some sun! When I went there in February the water was pretty cold (around 23°C) which required a 5.5mm long wetsuit. I was told the water is much warmer in summer so you probably won’t need the full 5.5mm! Nevertheless the diving was extraordinary! Completely different to what I already knew from my diving in Mexico and Venezuela. 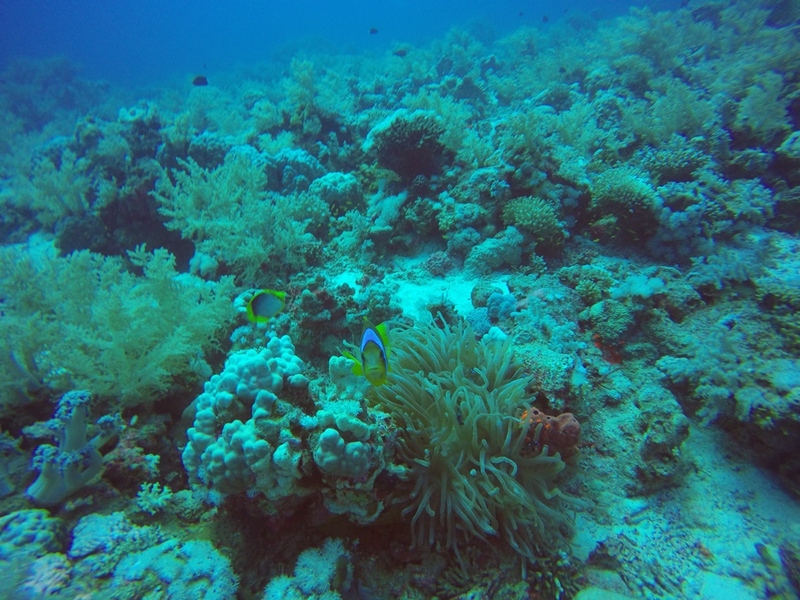 Different corals, different types of fish, different atmosphere down there – different but so enjoyably different! 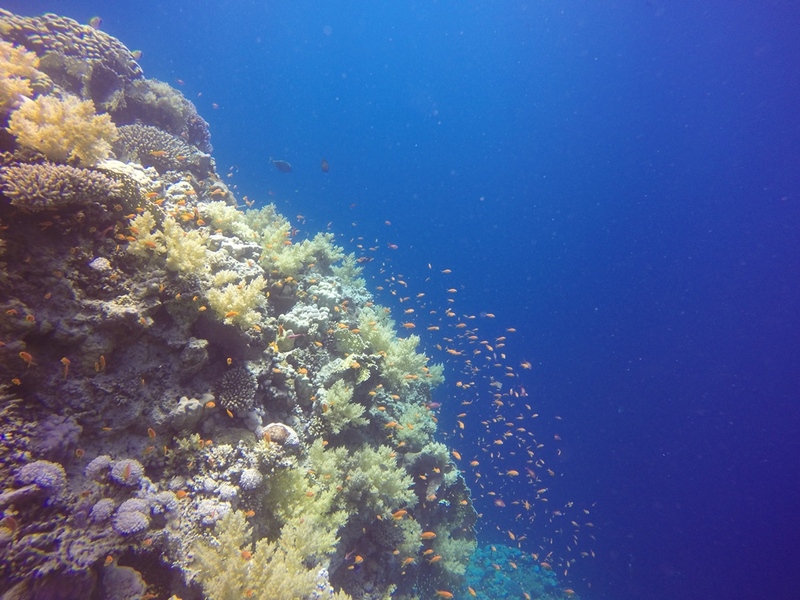 Karam showed me the reefs of Tobia Kebir and Gamul Suraya on the first day and the South and Northwest sides of Panorama reef on the following day. 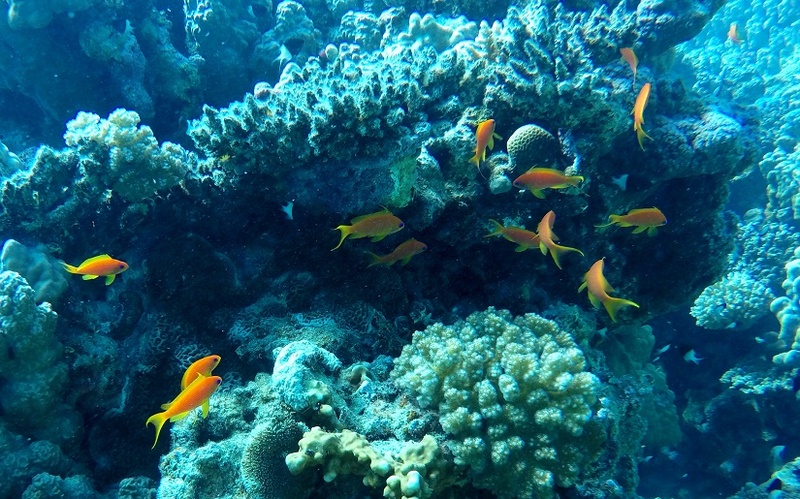 Tobia Kebir and Gamul Suraya are located just a few minutes boat ride from the marina and Panorama reef is about half an hour to get there and both are worth the visit! 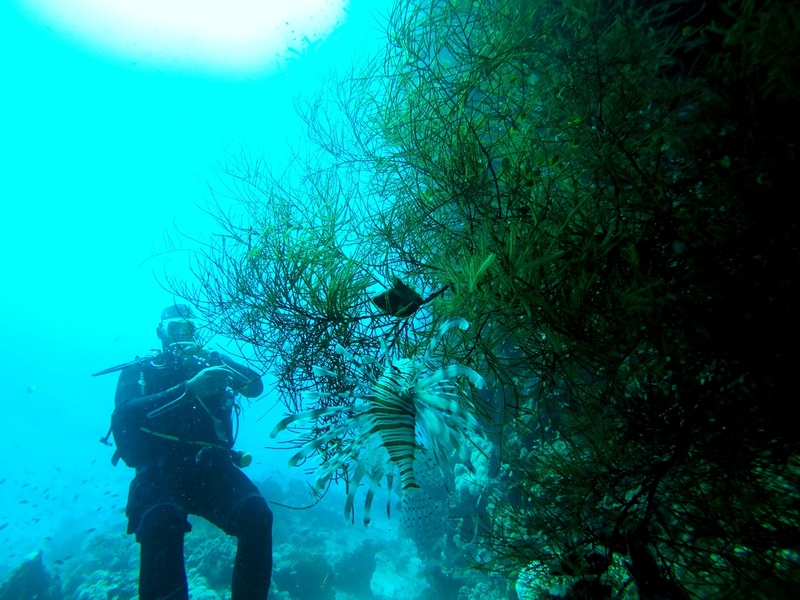 The dive sites are perfect for all divers because there is so much to see at each depth! If you prefer to stay shallow, stay shallow, but if you want to explore the depth you can do so as well. But now I’m keeping my excitement to myself and let you see what I am talking about! Welcome to the Red Sea, my dears! 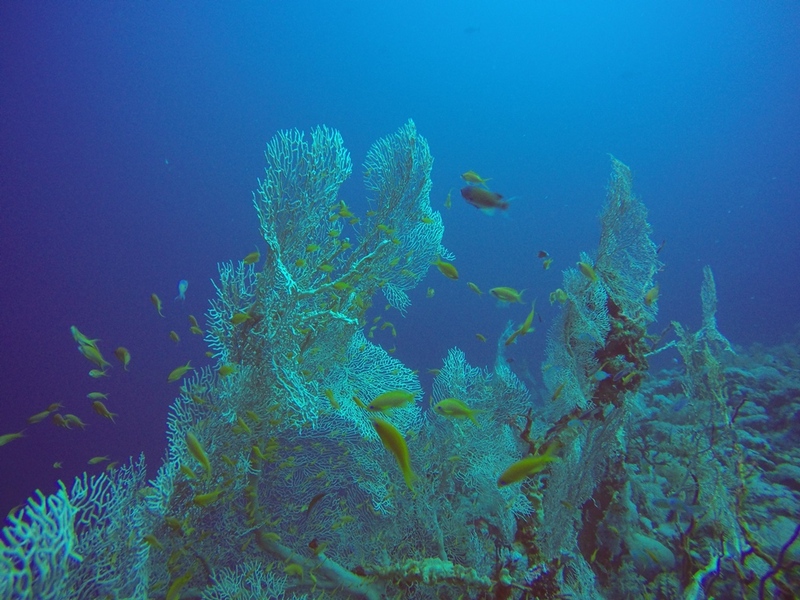 Being a pretty shallow sea with only 490m maximum depth but still one of the most astonishing places to dive in the world. 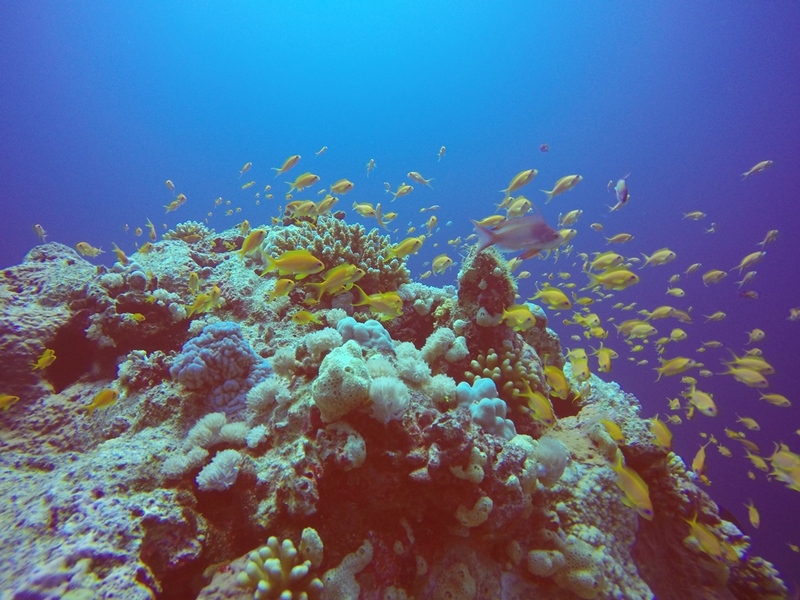 The Red Sea shares its beauty with Egypt, Sudan, Saudi Arabia, Yemen, Eritrea and Djibouti. 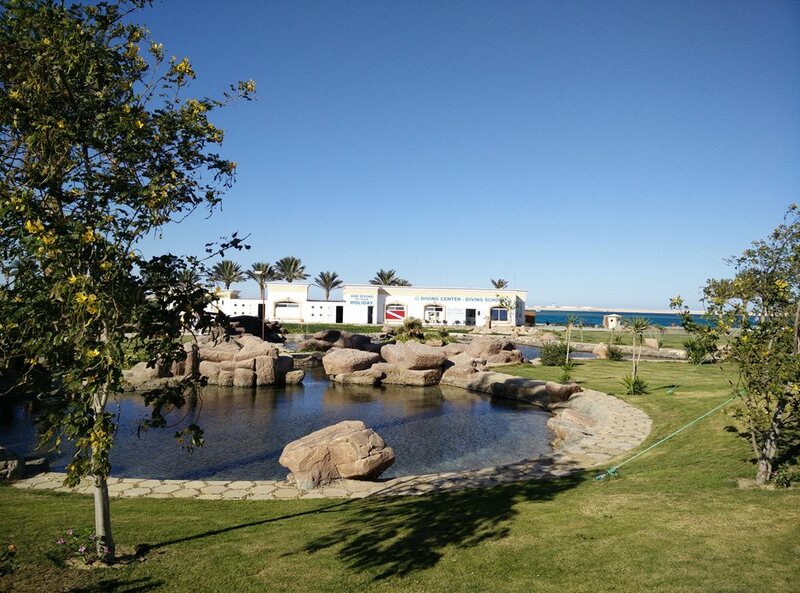 There are two Dive In’s in Egypt – one in Soma Bay (near Hurghada) and the second one in Sharm El Sheik. 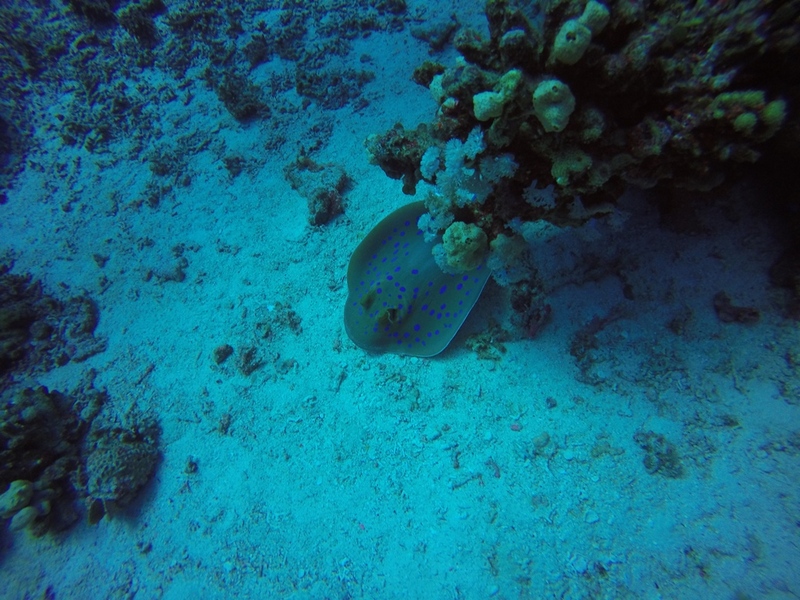 I can only speak for the one in Soma Bay, but I guess they are the same standard as Massimo, the owner, is a passionate diver and loves to make sure that your diving experience is the best. There is some dive shops around that have old and rusty equipment, not so at Dive In. New and working equipment for rent so you can focus on what’s important: the diving itself! Have you dove in the Red Sea? How was your experience? 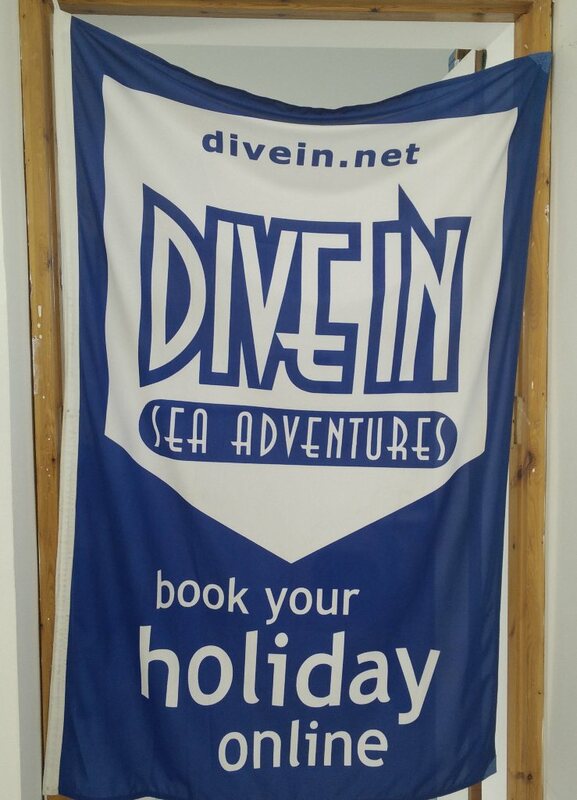 Who is in the mood for diving now? I know at least one person that is! Jetzt freue ich mich umso mehr auf unseren baldigen Trip nach Hurghada. Dankeschön! Bald kannst du bei mir ja einen Kurs machen 🙂 Das wird bestimmt ein riesen Spaß!